Let’s get one thing out of the way right off the top – I’ve never played an XCOM game, period. Going into The Bureau, I knew very little about the XCOM franchise, other than the original 1994 game (UFO: Enemy Unknown, X-COM: UFO Defense) is a beloved classic in the PC gaming community, and 2012’s XCOM: Enemy Unknown did quite well, averaging 9/10 on Metacritic. What caught my eye about the Bureau, was the visual style. It’s set in the 1960s, and involves an alien invasion. Sign me up! Retro-futuristic is one of my favourite art styles, and The Bureau gave me plenty for me to gush over. 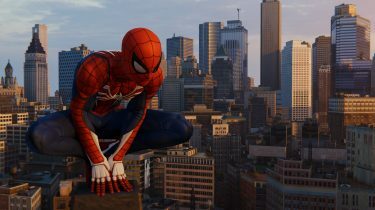 While it wasn’t the greatest game I played this year, or even in the top 5, it had some moments that I’ll likely remember for some time, and overall I enjoyed playing through the campaign. 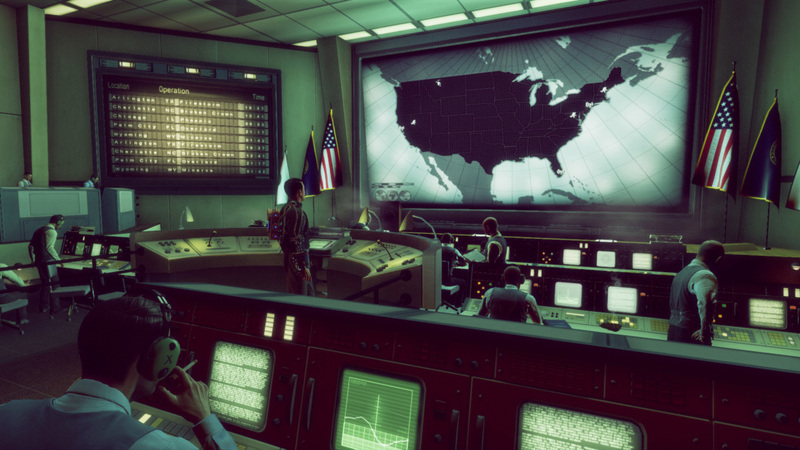 As previously mentioned, The Bureau: XCOM Declassified takes place in the US, in the early 1960s. You assume the role of Agent Carter, an operative who’s seen some action, and many bottles of whiskey in his time. It’s revealed that he was once well respected, distinguished in his field, and high ranking, but fell on some hard times and turned to the drink, which saw him demoted several times over until he eventually landed behind a desk. Certain circumstances bring him back to the field, and it becomes apparent that despite his recent troubles, he’s the right man for the job. 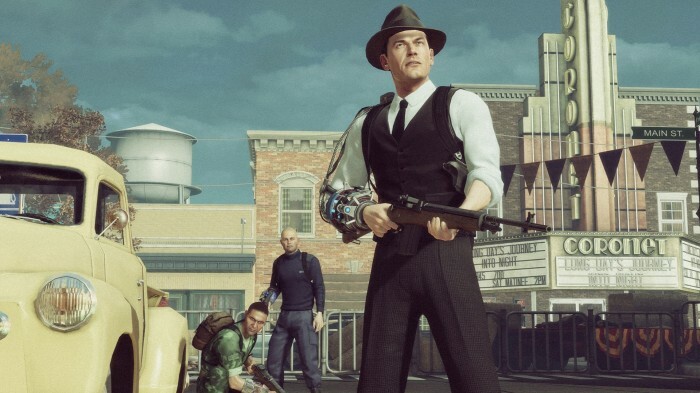 The Bureau: XCOM Declassified is said to be a prequel to the XCOM franchise, but I’m really not sure how much of it ties into other games, since I haven’t played them. But it’s clear that this is the first direct contact humanity has had with alien beings, and things aren’t going so well. The aliens have attacked and are invading earth, for no apparent reason. Agent Carter is positioned to train and lead other XCOM operatives, while fending off the alien threat and determining what they want. It’s a decent premise, but things don’t always connect as well as they should. 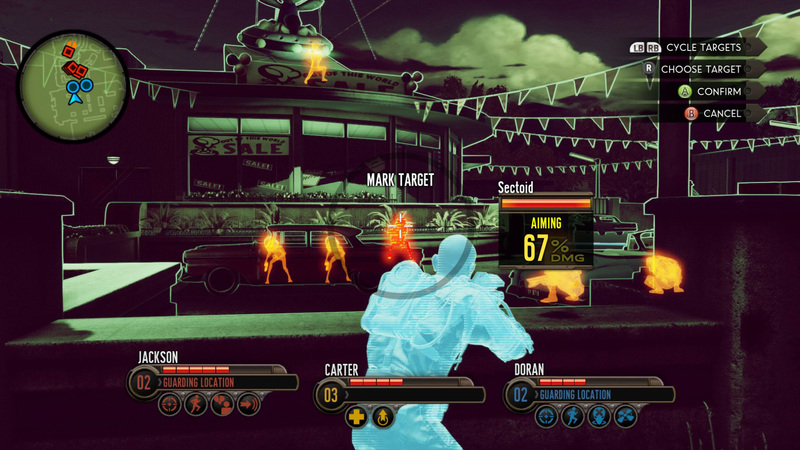 It feels like The Bureau was meant to be a much bigger game than it is. Between missions you return to XCOM HQ, where you can walk around and speak with other agents, your superiors, and scientists. The area is quite large, and some times they have you going from one end of the other simply to engage in a bit of dialogue. Normally, I’m all for digging deeper into the story and finding out all of the details, but it felt quite tedious in The Bureau. That may have just been due to the time it took me to find the person I was looking for, or the sheer volume of conversations to be had. Regardless, I was far more interested in getting back out into the field, than I was drudging around HQ. While missions take place in all different locations, they all felt pretty similar. 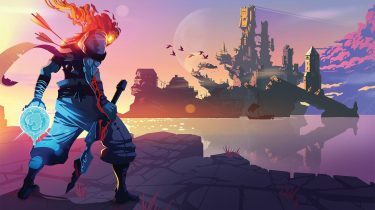 There’s a bit of exploring to do, and you’re encouraged to venture off the beaten path to find weapons and backpack schematics, but missions are linear otherwise. Some of the set pieces, especially later on in the game, were quite neat and memorable. When you head out into the field, you get to take two agents with you. And back at HQ, you can hand-pick the agents in your roster, train them in whatever abilities you’d like them to posses, and choose their weapon load-out. Agents can rank up to level 5, and this can be done either by having them fight by your side, or by sending them on missions of their own via the map in HQ. It only takes 2 or 3 missions for an agent to be fully ranked up, so you end up with a stacked roster quite quickly, which is good and all, but pretty much completely devalues an otherwise devastating aspect of campaign missions. And that’s that agents can die in the field. 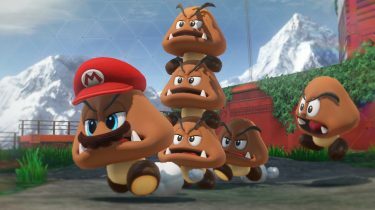 If they go down and you don’t get to them before they bleed out, they die, and they don’t come back… for the remainder of the game. This should have a huge impact on the player, but since it’s fairly easy and quick to rank agents up, swapping a fallen agent out for another that’s fully ranked up is basically just a matter of reaching the next checkpoint. 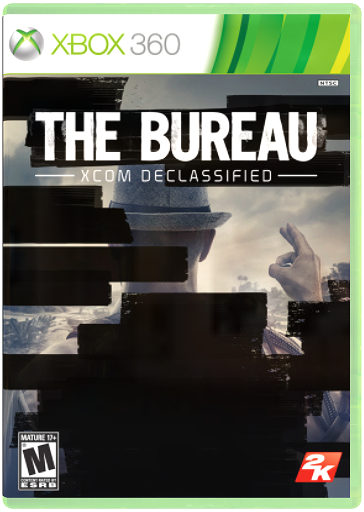 There are many aspects to The Bureau that I found directly comparable to Mass Effect. The fact that you take 2 agents into the field, and access their abilities via a circular menu that (nearly) pauses the action. The HQ, which serves as a hub to find out more information about colleagues and launch missions from a map screen. Even some of the abilities themselves are very similar – lift, push, squad heal, etc. The dialogue menu is pretty much exactly the same as Mass Effect’s. These aren’t bad things, just observations. They all work well in Mass Effect, so it’s not surprising to see other games “borrowing” them. Of the four difficult levels, I played on the second (normal), and I still found it to be quite difficult at times. The Bureau is totally unforgivable, when it comes to acting without thinking. There’s no run-and-gun. You need to hunker down, assess the situation, form a battle plan, and deploy. I learned very quickly that any other way of playing results in death. Agents, especially early on, are incredibly weak, and even when you’re telling them to stay in cover will go down quite often. Having to revive them frequently becomes a burden, and as such, you have to make sure that you’re in good shape health-wise, as you end up having to leave cover to offer aid. About half way through the game, it really started to become fun to play, and most of the burden of weak teammates was gone. I had several abilities I could use with both of my agents, and myself included. The really cool thing about how abilities are assigned, is that you can queue them up and agents will follow your directions accordingly. For example, you could tell one agent to go to a specific location, get behind cover, headshot a certain enemy, then deploy a rocket turret. 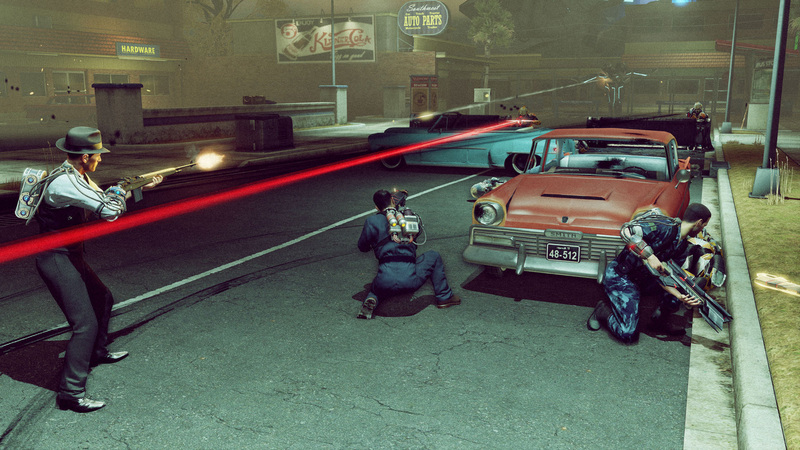 At the same time, your other agent could be moving to a different location, deploy a protective shield on you, then fire on a specific enemy. All the while, you’ve deployed a medic drone, lifted an enemy out of cover, and healed your squad. It’s pretty awesome and totally fulfilling to see your actions carried out in succession, especially when they work and you win the battle. The 10-12 hours I spent playing The Bureau: XCOM Declassified were mostly enjoyable, with the occasional difficulty spike and tedious agent babysitting scenarios that disrupted things. The story was interesting, and fairly well told, while the characters were stereotypical to the point of being laughable. I’d like to see a sequel to this game, with more focus on the things it does well, and removal of the things that weren’t fully fleshed out and only served as a distraction.